I believe this is one of the most treasured and defining moments in someones life. The first few weeks will go by so fast. I want to capture every detail so you have these portraits to make these moments stay with you forever. 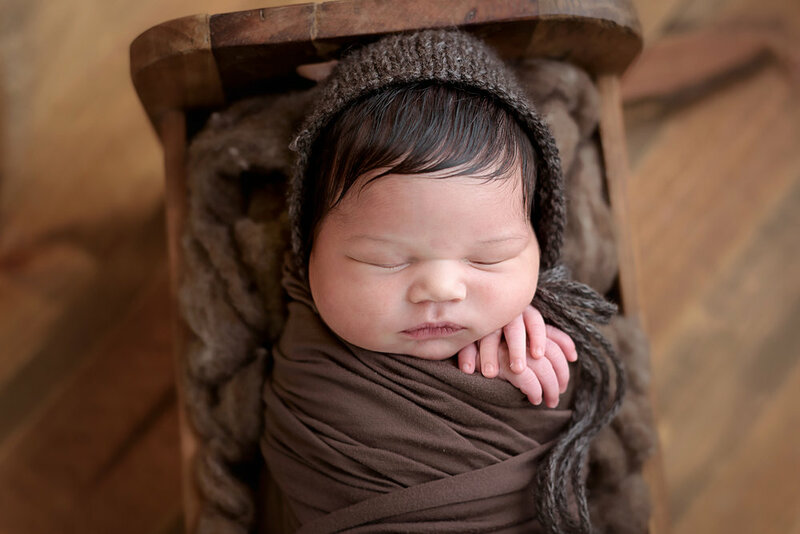 Dawn Rocks Photography newborn session style is simple and timeless and consists of mostly neutral, muted and organic colors and textures. Dawn Rocks Photography has a studio full of neutral and organic props for the session. Shades of cream, tan, beige, taupe, blush, champagne, off white, soft gray, charcoal gray, earth tones, light rustic wood and dark warm wood. Many buckets, bowls, crates, backdrops and more. 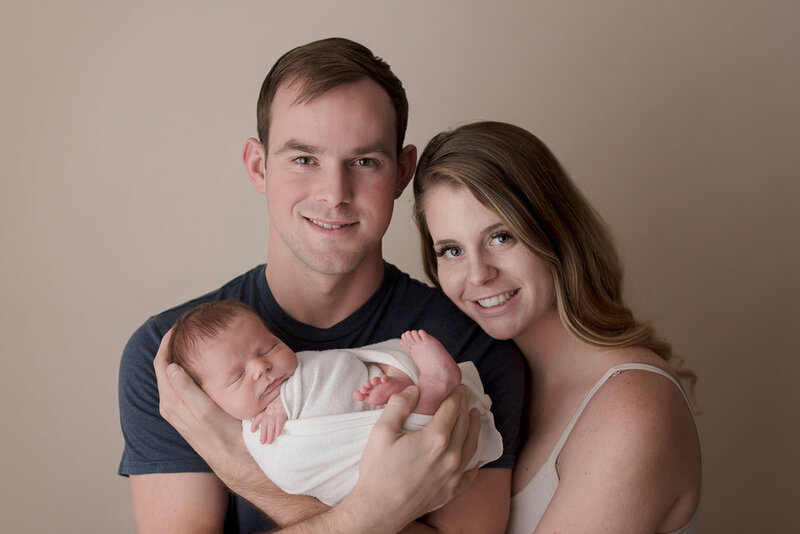 No need to worry about bringing anything for the newborn session. It’s all taken care of. If you have something specialize you would like to incorporate we will discuss this in a pre session consultation form for planning the session. 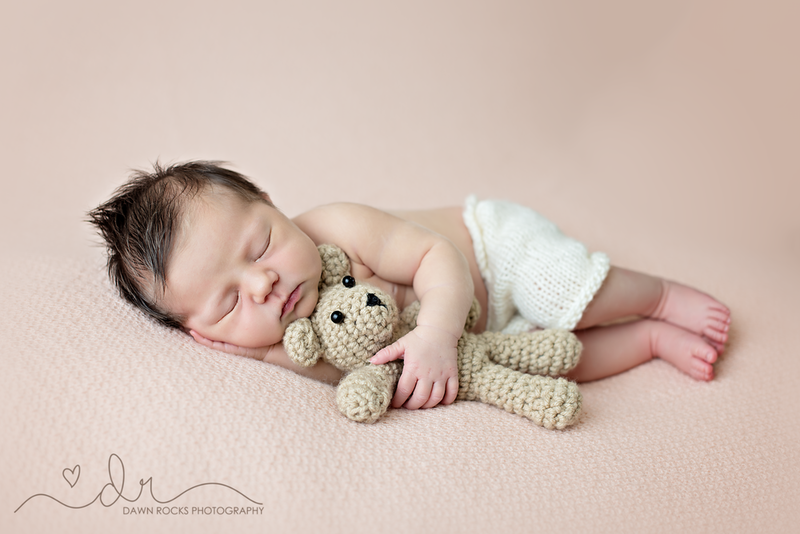 Set ups are done based on the feedback given and based on the flow of each newborn session. Most clients book this session in their second trimester. Your due date will be the place holder. 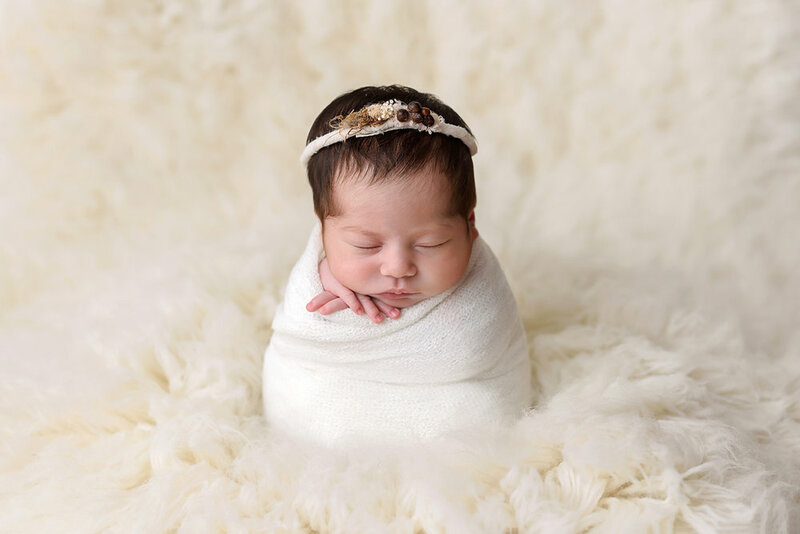 Once the baby(s) arrives, we schedule the session to take place ideally between 5-20 days old. The session takes around 2-3 hours. Dawn Rocks Photography offers beautiful archival high quality products for you to display in your home and pass on for generations to come. Our wood photo-blocks and our heirloom books/albums are the most popular for newborn sessions. The custom designed heirloom books/albums are a lovely way of preserving your session images for the coffee table while the photo-blocks are perfect for displaying a favorite or a few on the wall to compliment your home. Samples are available at the studio to check out during your session.